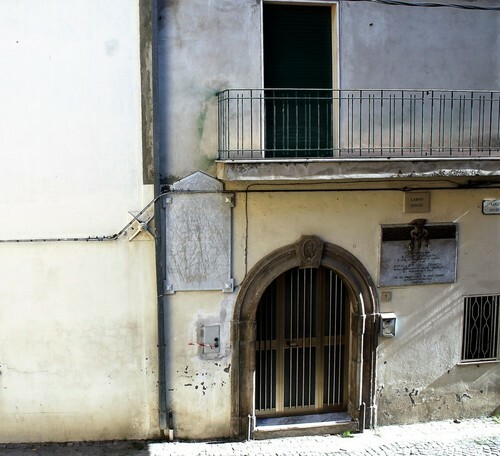 Tommaso Senise was born in this house of Corleto Perticara (Largo Senise 1) on February 2, 1848. 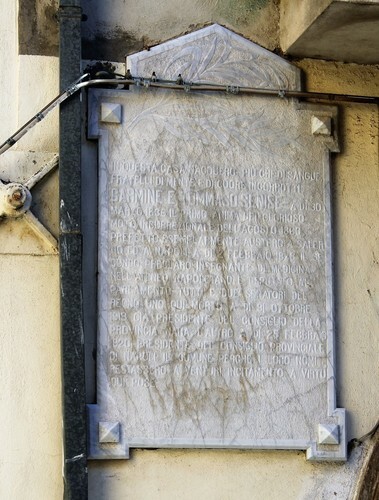 A shabby memorial tablet, nearby the main door, commended him. 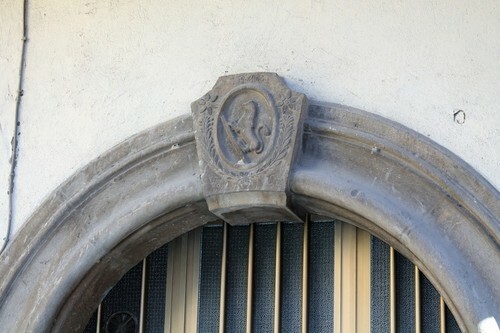 He lived in this house with his brother Carmine Senise who was an Italian Politician. The inscription in Italian says: IN QUESTA CASA NACQUERO PIÙ CHE DI SANGUE / FRATELLI DI CUORE INCORROTTI /CARMINE E TOMMASO SENISE A DI 30 / MARZO 1836 IL PRIMO ANIMA DEL GLORIOSO / MOTO INSURREZIONALE DELL’AGOSTO 1860 / PREFETTO ESEMPLARMENTE AUSTERO A SALER / NO ED A NAPOLI A DI 2 FEBBRAIO 1848 IL SE / CONDO PRECLARO INSEGNANTE DI MEDICINA / NELL’ ATENEO NAPOLETANO E DEPUTATO AL / PARLAMENTO TUTTI E DUE SENATORI / DEL REGNO UNO QUI MORÌ A DI 31 OTTOBRE / 1918 GIÀ PRESIDENTE DEL CONSIGLIO DELLA / PROVINCIA NATIA L’ ALTRO A DI 25 FEBBRAIO / 1920 PRESIDENTE DEL CONSIGLIO PROVINCIALE / DI NAPOLI IL COMUNE PERCHÉ I LORO NOMI / RESTASSERO AI VENTURI INCITAMENTO A VIRTÙ / QUI POSE.